My daughter is constantly raiding my printing paper supply to draw. If it’s not hearts and garden scenes, she’s drawing the people she loves most, her family. 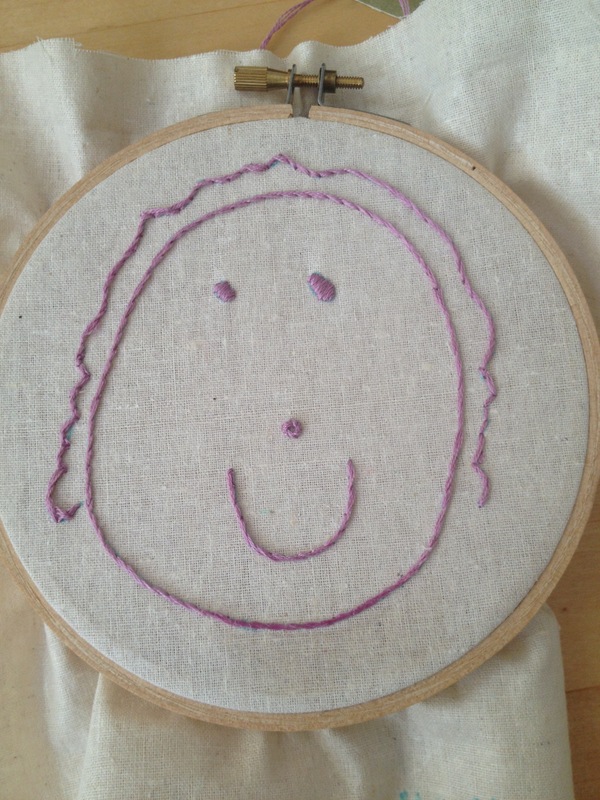 I’d love to win one of your gorgeous embroideries. It would be a lovely to have her art created as a keepsake. Thanks for the chance to win! Oooh! Awesome gift idea! Lacey loves drawing pictures of people. Last night my portrait featured me in the rudie nudie! Not sure if my other comment made it? My daughter is forever stealing bits of paper from my printing supply. When she’s not drawing hearts and garden scenes, she’s drawing the people she loves…her family. I’d love to win one of your embroideries. It’d be lovely to keep on of Eme’s drawings on display.